London, 22 November 2018 – Virgin Trains have begun painting the script of iconic festive film ‘It’s A Wonderful Life’ on station platforms from London to Glasgow. 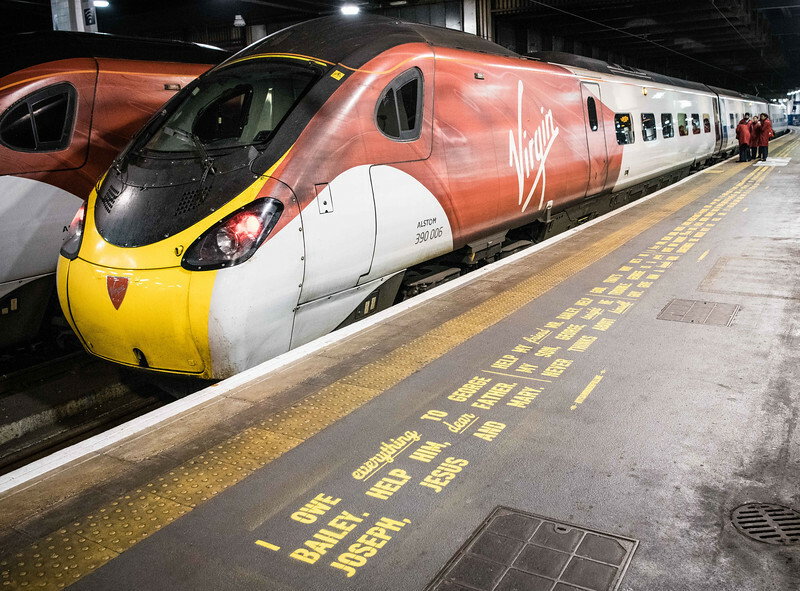 The campaign, which has been created with Virgin Trains’ long-term charity partner, Rethink Mental Illness, is to remind people of the importance of simple kindnesses this Christmas. Quotations - TM & © Melange Pictures. All Rights Reserved.